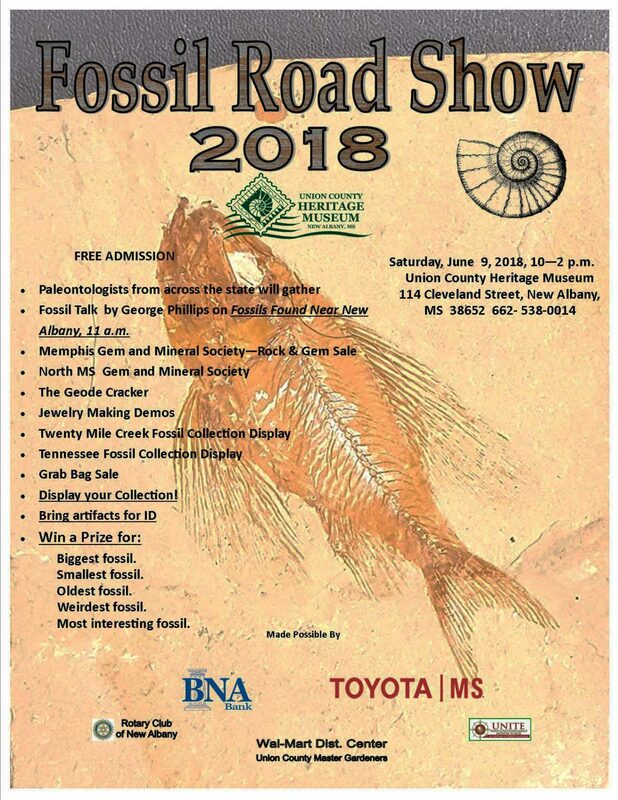 Fossils, rocks, gems and minerals are the focus of the annual Fossil Road Show at the Union County Heritage Museum on Saturday, June 9, 2018, 10 – 2. There is something for all ages. The annual event brings out the paleontologists from across the state as well as the private collectors, treasure hunters and those that like to learn new things about the region. The event is free, thanks to the museum’s community partners. Paleontologists will be available to identify fossils and object brought in by the public and George Phillips, the Paleontologist from the Mississippi Museum of Natural Science will tell about Fossils Found Near New Albany at 11 a.m. The Memphis Gem and Mineral Society, The Geode Cracker and the North Mississippi Gem and Mineral Society will be at the event exhibiting, making jewelry and there will be activities for children. · …or something the experts cannot identify! 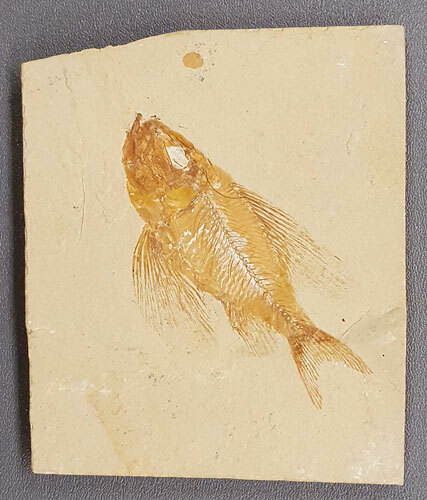 Collectors are invited to bring their fossils collection to exhibit for the day. If a table is needed, please contact the museum in advance. Collections from Tennessee, Mississippi’s Twenty Mile Creek as well as the Blue Springs site are already on the list of collection to be on exhibit. More are welcome. 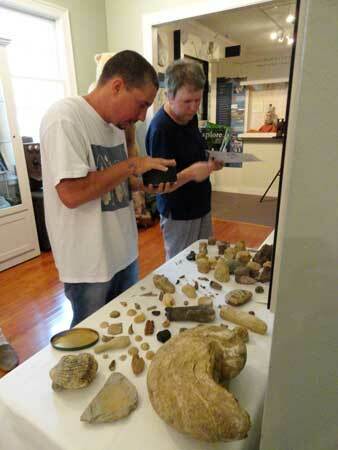 Local collectors examine fossils at the New Albany museum show. For more information or to schedule your collection exhibit, call the museum at 662-538-0014. The museum is located at 114 Cleveland Street in New Albany. This is a family event.